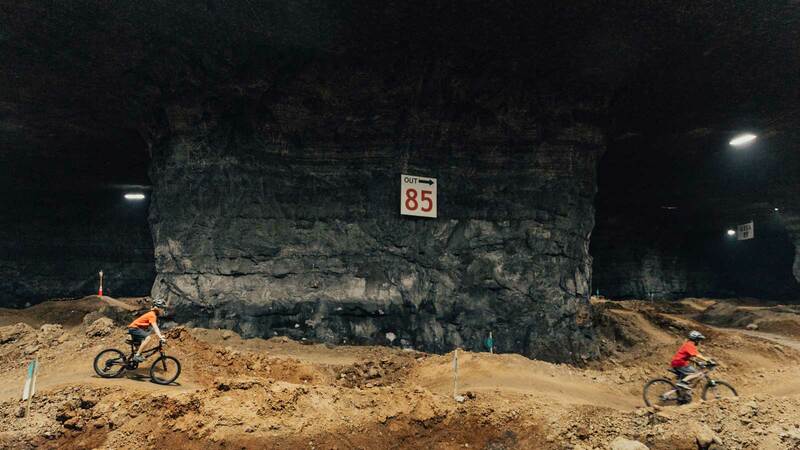 Ten stories below the surface of the city lies a massive cavern, big enough to hold more than 100 football fields. For 40 years during the mid-twentieth century, limestone miners blasted this four million square foot quarry into existence. 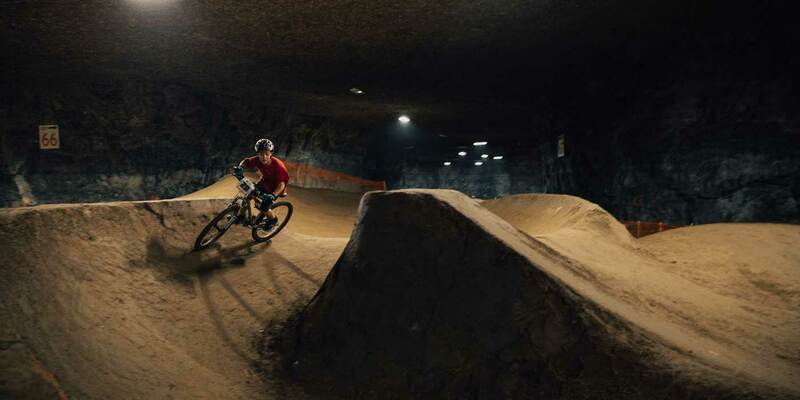 The miners are gone now, but in their place is something much more fun: zip lines, rope courses, and (drum roll) the world’s largest indoor bike park. When you walk into the Louisville Mega Cavern for the first time, you might feel like you've entered an alien world—or maybe the set of an adventure movie. 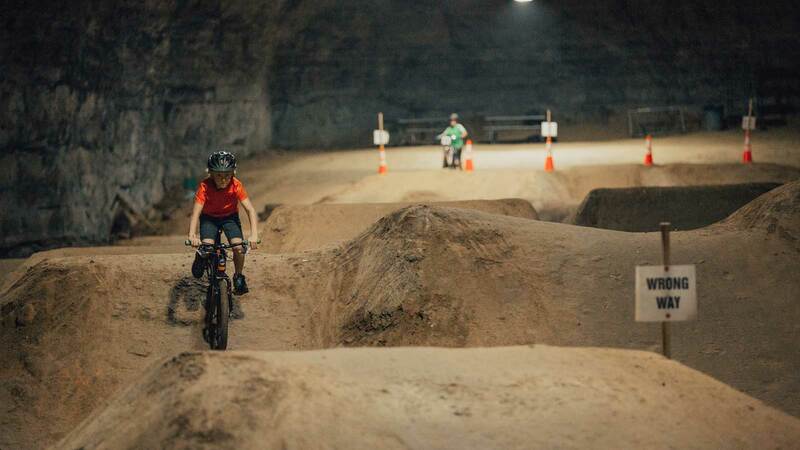 The jagged rock walls, muddy clay berms, and towering, shadowy ceilings definitely aren't the first thing you'd imagine when you're looking for a fun new place for kids to take a spin on their bikes. But that's a big part of the magic of the Mega Bike Park. It's nowhere close to usual. 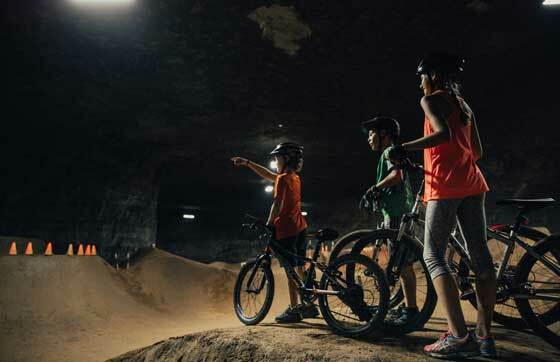 A click of the helmet strap and a push of pedals, and kids are off and exploring 45+ trails, whizzing past colossal stone pillars as bike lights dance over the vast rock walls. 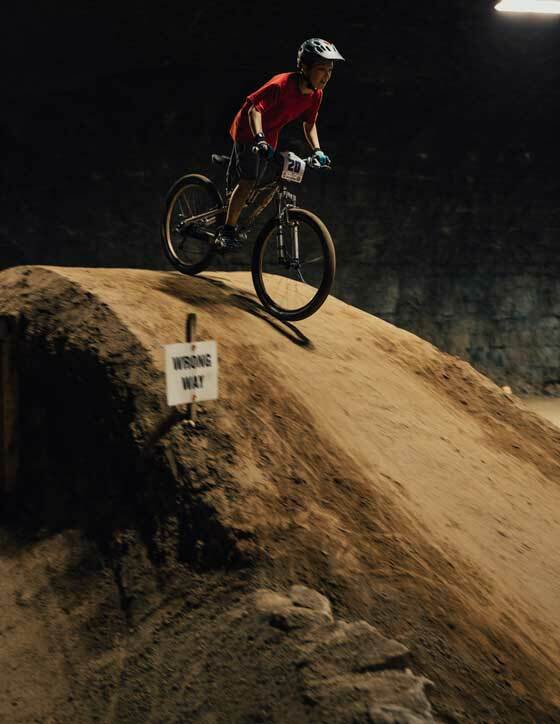 There's something here for every two-wheeled adventurer: jump lines, pump tracks, dual slalom, BMX, cross country, and single track. 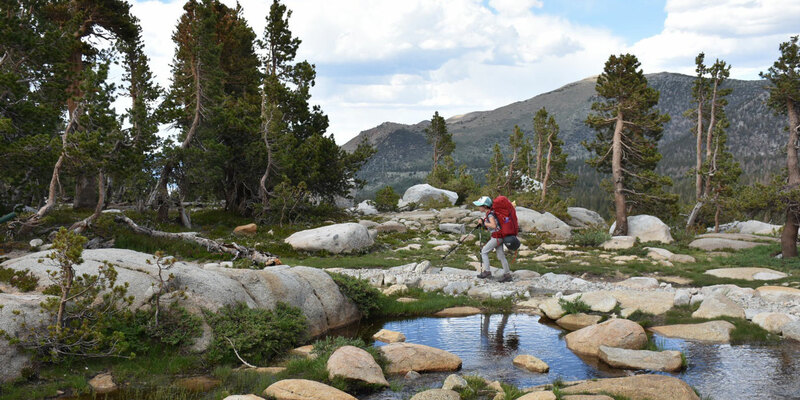 It's the perfect setting for wild imaginary adventures. Your bike could be a fire-breathing dragon, and you're the dragon tamer. Or maybe you're a pirate, riding through the cool, wet dark in search of buried treasure. 12-year-old Jude likes to imagine himself as Star Wars’ General Grievous, soaring through the abyss of space, as he flies off jumps. 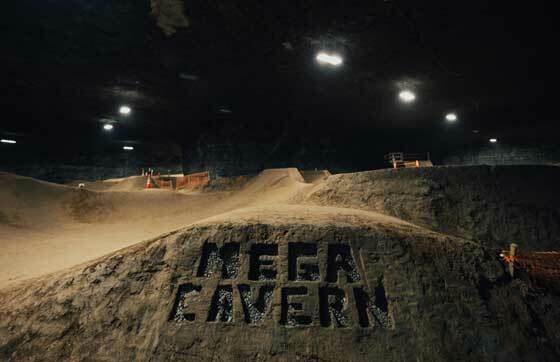 With over 320,000 square feet of prime cavern real estate to play with, this place takes fun just as seriously as kids do—and there's absolutely zero daylight required.